40% of Americans believe in ghosts. For them, a remark by a famous leading scientist, regarding the large hadron collider (LHC), at CERN, may provide consternation. On the border of Switzerland and France, 300 ft. below the picturesque suburbs of Geneva, lies a vast, underground facility, five miles across and seventeen miles in circumference. This is one of science’s greatest achievements. Using super-conducting magnets, scientists pit protons against one another in a subatomic game of chicken, smashing them together at nearly the speed of light, and thus creating tiny versions of the Big Bang. Scientists record what new particles result from the collision. The LHC has yielded some amazing discoveries, including insights into particle decay, and the discovery of the Higgs boson or “God particle,” which lends everything mass. The particle was hinted at. But its discovery, which garnered the Nobel Prize, fills a unique hole and allows scientists to further close the gap between relativity and quantum mechanics. Not only is CERN a success story in terms of science, but also in international cooperation. In an age of resurgent nationalism, 10,000 scientists from 100 different countries work together there in peace and harmony. Of course, those believing in the same overarching system can get along regardless of origin, while the relationship between the religiously minded and the scientifically prone seems to be on the outs once again. Religion and science haven’t exactly gotten along over the centuries. And controversies between the two have flared up from time to time. Yet, it seems confidence in science and its principles, at least in the US, has been relatively constant from the middle of the 20th century, up until the last couple of decades or so. Photons need a long space in order to reach the kinds of speed necessary to create a mini-Big Bang. Today, science is once again under scrutiny by segments of the population. Evolution, climate change, and even vaccines have been skewered by skeptics. CERN isn’t safe. A ridiculous hoax on the internet appeared in August, alleging that CERN scientists took part in a satanic human sacrifice. This shift is so pronounced, that the new dean of Harvard Medical School, George Q. Daley, warned in a recent Washington Post interview, that we are moving into a pre-Enlightenment era, where ideology molds reality rather than facts. This announcement about ghosts and CERN may act as a driving wedge, forcing these two camps even further apart. Rumors about CERN abound online, including fears that experiments there may accidentally open a gate to hell. Cox said yes. If ghosts were real, he posits, they would have a certain frequency or particle associated with them, corresponding with the human or body, with which it was once attached. If that was the case, we would be able to detect them. After all this time and with all our advanced instruments, we haven’t picked up anything close. Cox went on, “I would say if there’s some kind of substance that’s driving our bodies, making my arms move and legs move, then it must interact with the particles out of which our bodies are made. 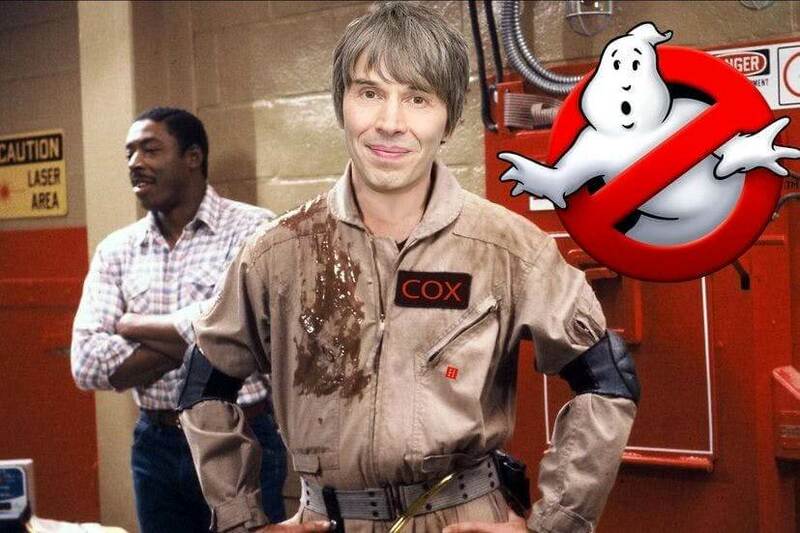 And seeing as we’ve made high precision measurements of the ways that particles interact, then my assertion is there can be no such thing as an energy source that’s driving our bodies.” So, according to Cox, there’s no ghost in the machine or our body, as well. There have been other explanations for ghost sightings that true believers may not like, including magnetic fields, exposure to toxic mold, infrasound—tones so low we can’t hear them, carbon monoxide poisoning, and much more. Whether or not this announcement by Dr. Cox causes an uproar is yet to be seen. How Will NASA Get this Probe to the Sun Without It Melting?